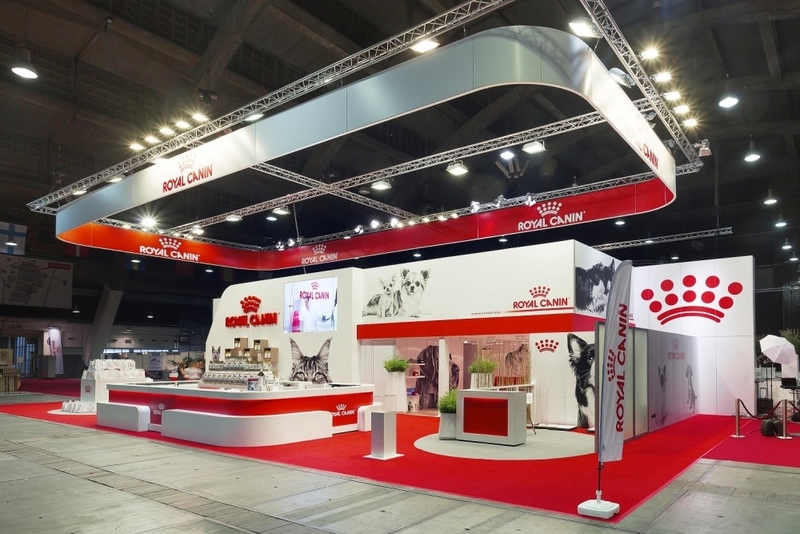 Tailor-made stands, B2B and B2C combination and extra visibility for the main official sponsor of this European event. At the heart of the programme: a major competition and lots of information stands. During this three-day show, an impressive 300 races were presented to the judges and the visitors, all of them champing at the bit to win the first prize. 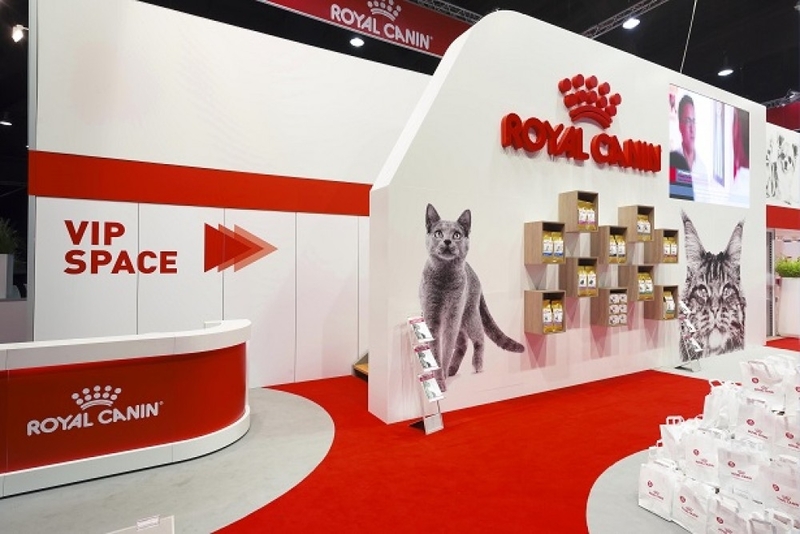 And as the official sponsor of this event, Royal Canin had a stand measuring almost 300m² ideally located next to the podium and the zone reserved for the judges and VIP guests. 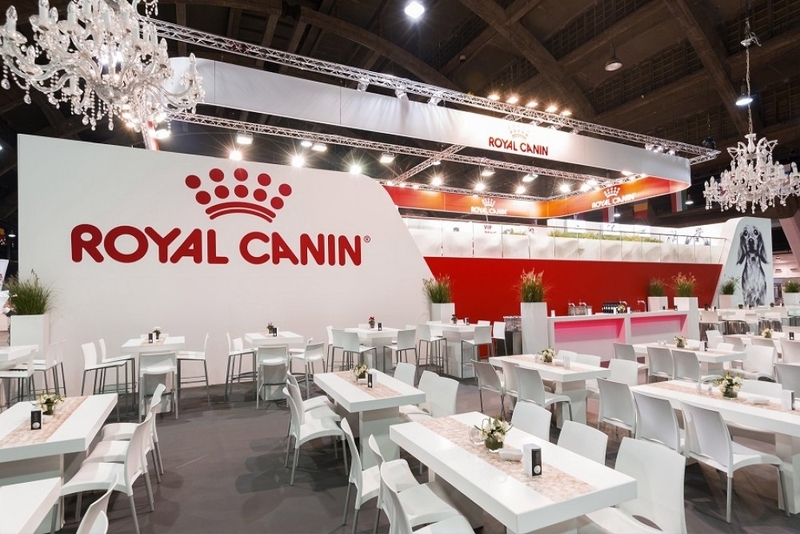 The main objectives and reason behind its presence: to obtain maximum visibility and be able to welcome both the public and its VIP partners. 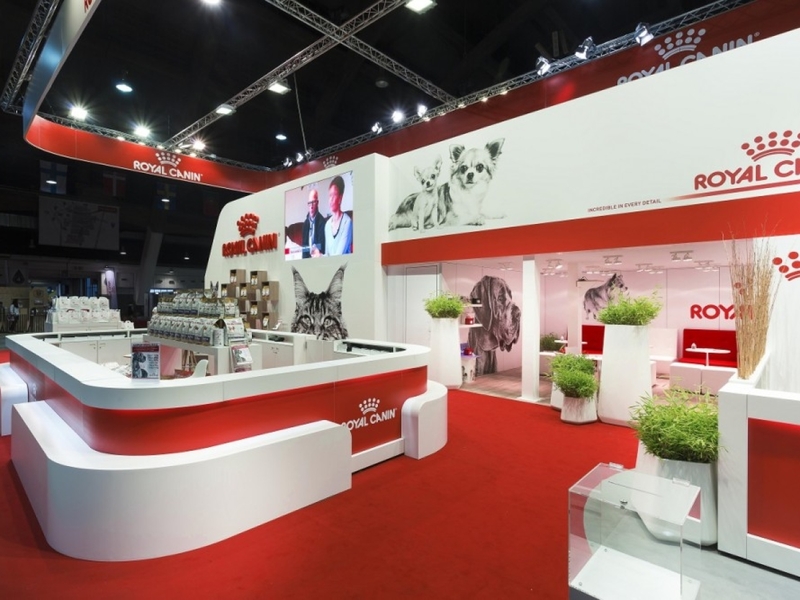 A private floor not only created extra height for a VIP zone with direct view of the podium it also guaranteed Royal Canin maximum visibility among the public. 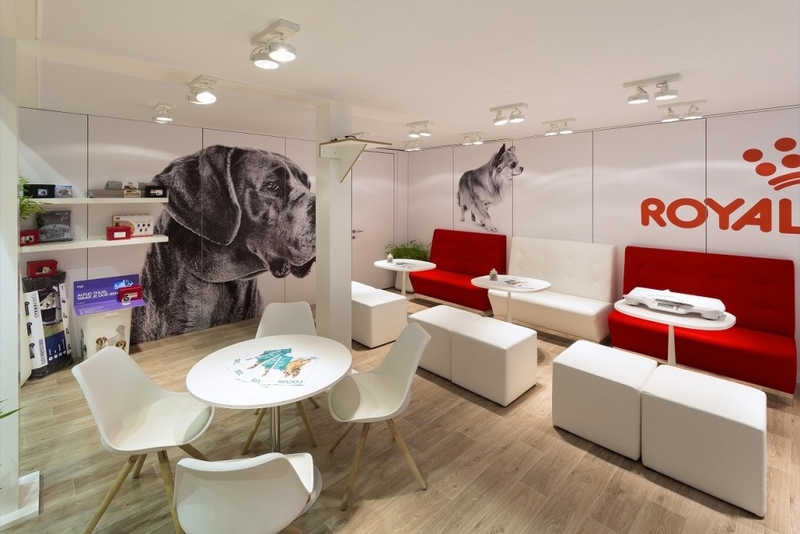 The lower space was very open and informative (information on products, the competition, etc.) and was mainly reserved for the public. 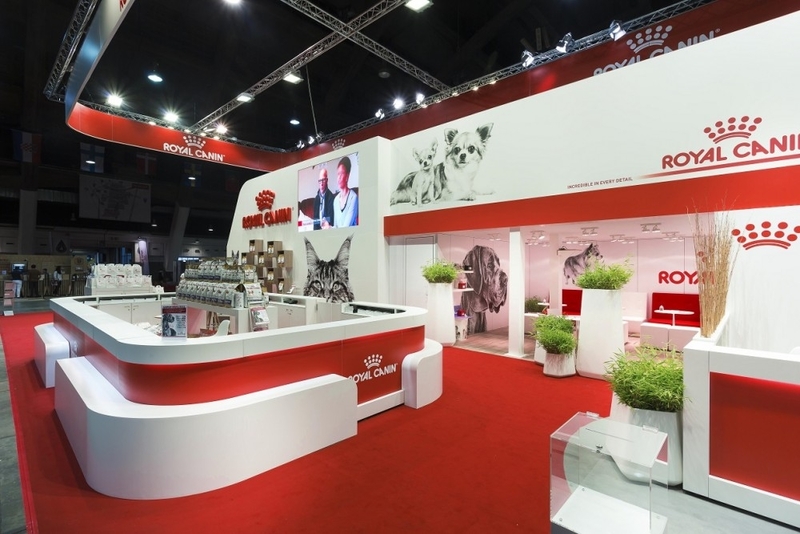 It had a convertible private discussion area however that could be transformed during the show into a presentation area, a press conference area and other happenings organised by Royal Canin. 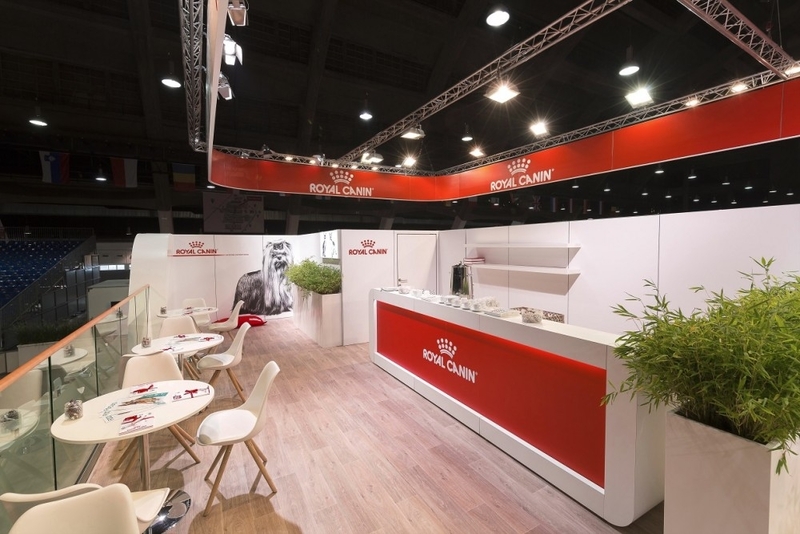 In order to ensure that everything ran perfectly on the stand, Conceptexpo ensured cleaning and maintenance throughout the event.